How many of you have been wanting to know how to make use of Fuller’s Earth to get rid of skin dryness? Have you been looking for an answer to this beauty query? Well! Your search ends now! 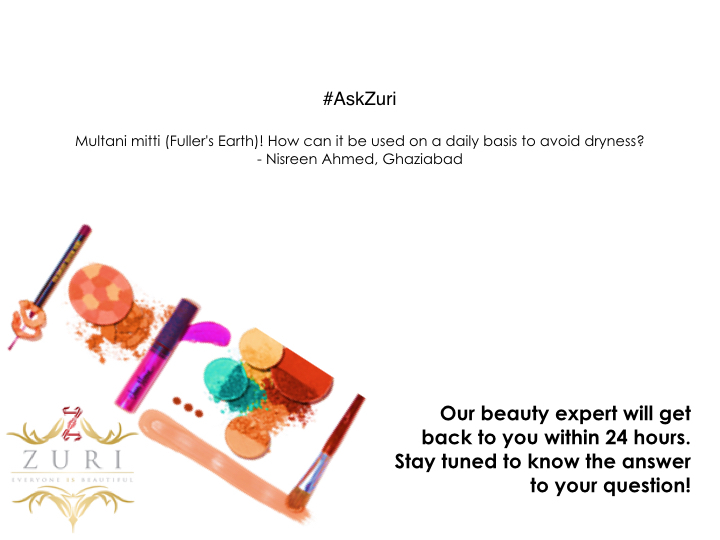 Team Zuri has answers to all your questions about skin care, makeup, hair, bridal look, and outfit ideas. If you have any specific beauty query and don’t know who to ask, just drop in an email at planetzuri@gmail.com and our beauty expert will get back to you as soon as possible.